its great to have established camps-if they generate profit-why not?---meritocracy shall always be awarded. new camps shall be welcome with wide open arms! to keep Stella Marquez Araneta to be on her feet, and to be innovative, to keep competition striving for excellence. ang concern lang naman talaga for Chavit's LCS group to handle MUP is yung KADUNGISAN nya sa mga babae- nakakababa ng moralidad sa totoo lang. I am very happy sa BPCI. BPCI will still be BBPCI. Basta ako, alam ko na maganda at nakakakampante if nandiyan ang Aces and Queens. Give credit to where it is due. 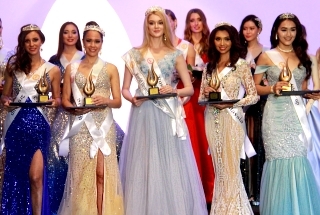 Philippine pageantry was never be the same the way it is today without beauty camps. I remember during Mabuhay Beauties / voy forums era before Misso time when Philippines’ struggled in international pageantry or dark era was very real. Discussions were unimaginable and fights in writing seemed unending. Then Gaffud and company came into the picture gradually and things changed for the better. They literally shed some light at the end of the tunnel with hard work and determination starting with Venus Raj’s shining moments at Miss Universe. The rest was history. Regardless of what you all may say, good or bad, he and his company created an indelible mark in Philippine pageantry. They contributed more than any enthusiast could ask for. madaming girls like venus, janicel etc. na galing sa hirap na sumabak sa pagiging BQ. hindi nmn lahat kaya maging independent dhil need rin ng malaking money. pacifico falafoxy wrote: Give credit to where it is due. 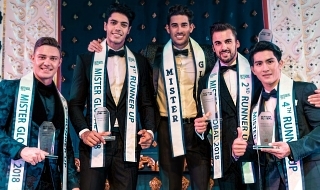 In the genre of global pageantry, confidence building processes find no lesser substitute. Girls who lack the basics and do not have an ounce of these at the beginning soon realize that they can morphed into personalities they desire with the guiding principles instilled unto each by the respective training camp. The movers behind these camps are no sworn enemies. They are passionate practitioners with a degree of professionalism and respect for each other's capabilities and strength. II's only the fans quarrelling and pulling each other down much to the displeasure of those who believe in the end goal. Competition should be encouraged because the queen makers are responsible for bringing out the best in each of these hopefuls. The silly quarrels are counterproductive to say the least and cheapen the whole exercise. Whether perceived or real, the undesirable behaviour and negati ve vibes resulting from these toxic rivalry must be ignored. IT WAS THE FILIPINO FANS, ANG PAGLULUPASAY NI VENUS, AND OF COURSE THE "UNSUNG HEROES" NAMELY: VEEJAY FLORESCA, MARTIN BAUTISTA, LEX LIBREA, AND ALEQ AFRICA WHO WERE VERY INSTRUMENTAL KONG BAKIT TAYO NAMAMAYAGPAG HANGGANG NGAYON. PIVOTAL ROLE. TURNING POINT....KONG HINDI NILA NI RECORD ANG KANILANG MGA SARILI (GENUINE REACTION VIDEO ) AT HINDI INI UPLOAD SA YOUTUBE. MAARING NGANGA PA RIN TAYO HANGGANG NGAYON. HANNAH ARNOLD IS NOT 5' 11" BAREFOOT.....DAHIL MAS MATANGKAD PA SI ILYN DE VERA KESA SA KANYA...ILYN'S HEIGHT IS 5' 9" BAREFOOT...NAGSISINUNGALING SI HANNAH SA KANYANG HEIGHT! krissynelli wrote: HANNAH ARNOLD IS NOT 5' 11" BAREFOOT.....DAHIL MAS MATANGKAD PA SI ILYN DE VERA KESA SA KANYA...ILYN'S HEIGHT IS 5' 9" BAREFOOT...NAGSISINUNGALING SI HANNAH SA KANYANG HEIGHT! Hahaha. I thought this thread was created by Angelika. Natuwa na ako kc nakalagay "Final Chika", which means last chika na itey. Kaso kay ate Nycs pala. Hahhaa. Anyways, true ka jan ate Nycs. Kakapagod na ang Camp wars camp wars na yan. Siraan, girian, awayan. Wala ng katahimikan. Sino ba ang nagsusuffer? Kundi mga badets na may kinakampihang camps. We are now in the peak, as you say. So, sa tingin ko, kaya na nating tumayo without camp affiliations. Look at Catriona. She stood without a camp. Beauty camp is business. They can train whoever they want. Kasi business yan. But let us remember, at the end of the day, nasa dilag yan. May mga aspect na ndi kayang matutunan with a span of weeks or months. And sa mga badets, stop the bashings. Lalo nat destructive. Kung may gustong suportahan, suportahan na lang ng ndi naninira ng iba. Kc pag dating sa international arena, we will stand as one, because we are all FILIPINO! Many of the girls received financial assistance, and through other resources, afforded by beauty camps to be able to reach to the level of competing in Philippine national pageants or even abroad, not to mention hard labor or physical tasks. They do these out of love to the country Philippines and Philippine pageantry. Receiving whatever returns of investments they can get is always appreciated. They believe in healthy competition among themselves. Many of fans did not know that many hopes and dreams of the girls, past and present, were achieved through beauty camps. They would not have competed in nationals or even abroad without them. In short, many of the girls’ dreams came true because of beauty camps. Let them continue do things they do best. Just be grateful and give support. Your jealousy and negativity will not deliver results. Nagpapancit party sila ng madethroned si Venus Raj pero ang hindi nila alam na mangyayari ay nasa kay Venus ang huling halakhak. 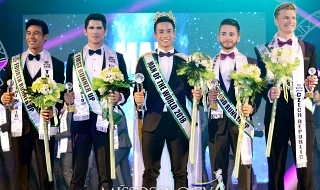 OO nga, it is the FIlipino pageant fans kung bakit laging wagi tayo sa international competition. We are all in the venues to support and from the moment that the candidates will set foot in the airport, nandoon ang mga fans to give motivation to the increasingly grace under pressure moments sa mga candidates. Even the PRESIDENT OF MISS UNIVERSE ORGANIZATION MS PAULA SHUGGART have acknowledged that when she was interviewed last week, she didn't expect that even in Moscow, Russia where once Miss Universe was held that Filipinos will come out in full and loving support. It was a bit so ecstatic and surprising for her to observe that. So, nanggaling na mismo sa bibig ni Ms Paula Shuggart ang dahilan kung bakit nananalo ang ating candidates. It will never be because of the camps, ang daming magaganda, matatangkad at matatalino na candidates year after year from other countries at because of our loving support, we are always in their radar for our candidates to become finalists. The Filipino fans are more passionate. Ms Paula Shuggart never ever mentioned about these training camps. It's always the girl that defines their destiny because of their own wit, beauty and intelligence as well as the advocacy they wanted to impart and help out. While they started the streak, KF provided the lone star in a very dark night before that streak happened. Give credit to where it is due. KF might have won an International and Earth crown in that era. However, only a Miss Universe crown (Miss World as secondary) really matters to Filipinos. In all her interviews, Cat has stressed time and again that going independent is the best decision she'd made in competing in Bb. Pilipinas/Miss Universe. Now, you're saying she's lying?